Description: When the children of his village were struck with a mysterious illness, Number Ten Ox sought a wiseman to save them. He found master Li Kao, a scholar with a slight flaw in his character. Together, they set out to find the Great Root of Power, the only possible cure. The quest led them to a host of truly memorable characters, multiple wonders, incredible adventures—and strange coincidences, which were really not coincidences at all. And it involved them in an ancient crime that still perturbed the serenity of Heaven. Simply and charmingly told, this is a wry tale, a sly tale, and a story of wisdom delightfully askew. Once read, its marvels and beauty will not easily fade from the mind. 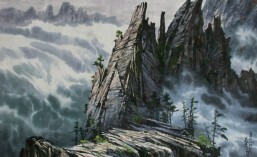 The author claims that this is a novel of an ancient China that never was. But, oh…it should have been! This is a unique book. A blend of myth and fable, it’s unlike any fantasy novel I’ve read so far. … fable has strong shoulders that carry far more truth than fact can. 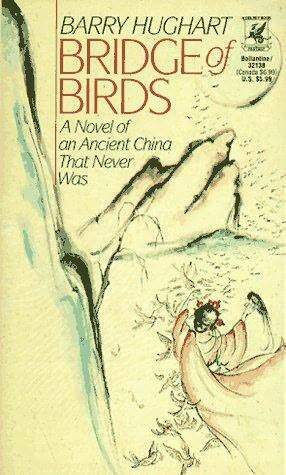 Full of flowery passages and exotic quasi-Chinese descriptions, this novel resembles a slide show, a series of beautiful but static pictures, with the slow-moving narrative that might bore you to tears, especially at first. But if you stick with the book, you’ll soon find out that underneath all those ornate, overblown accounts hides a real story – a noble quest, undertaken by two mismatched heroes: a young man Ox and an old sage (and scoundrel) Li Kao. Ox is an incarnation of the third son from Western fairy tales. At first glance, he doesn’t seem very bright, but he is trustworthy and tenacious and very kind. He cares about people and disregards his own comforts to help others. He is goodness personified, a simple village guy with a heart of gold. It would’ve been a dull tale, if his virtuosity wasn’t counterbalanced by the wily actions of Li Kao. Li Kao is a wise man “with a slight flaw in his character.” A much more multifaceted personage than Ox, Li Kao is a scholar and a trickster, a conman and a fount of knowledge, with a decided propensity for wine. His crafty escapades and cunning solutions to the problems this unlikely duo encounters never failed to make me laugh. The comedic aspect of this novel – which is very pronounced – is entirely Li Kao’s doing. Together they embark on a junket across China, or rather the metaphorical China of the writer’s imagination, to save their village children. Later their journey morphs into something bigger – a quest for divine justice, and to achieve their goals, they don’t shy from practical jokes or chicanery. Their victims are invariably rich, greedy, and cruel, and the heroes exploit their marks’ every folly for their altruistic needs. In a way, their every hoax and ruse is a punishment for the villains. I think the Chinese flavor of this lighthearted tale is only surface deep, although esthetic and elaborate like a lacquer Chinese vase. The roots reside deep in the Western traditions. Fairy tales of many European cultures mesh in this book, but it probably owes its most profound influence to the medieval picaresque fiction of Spain and France, with their roguish but charming protagonists. And like the medieval capers it approximates, this novel doesn’t boast deep emotional bond with the characters. They are unchanging throughout the story, symbols more than real men. They fall down the cliffs but never break a bone. Wounds are just words to them, with no underlying pain, and death isn’t really frightening. The readers are not required to emphasize with the characters, just admire their inventiveness, laugh at their pranks, and follow the plot to its sweet and triumphant conclusion. The writing is clean but convoluted, decorated with Oriental-style verbal arabesques and infused with sparkling humor, which sometimes conceals it penetrating sagacity. Here, Li Kao tells a story about someone – a man named Procopius – he tricked in the past. Procopius stared at me. ‘And I will be wise?’ he asked. p>On the whole, I enjoyed this book, but I doubt I’ll ever read it again. 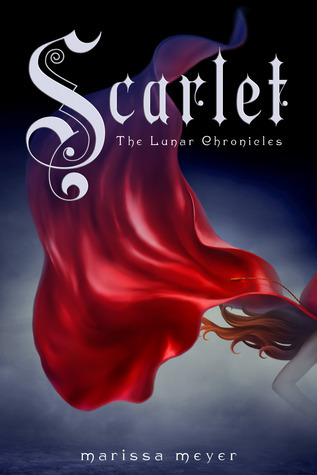 Scarlet picks up right where Cinder left off, but follows parallel plots featuring different groups of characters. The primary plot features Scarlet, a young woman in France who searching for her missing grandmother. She teams up with the mysterious Wolf, when evidence indicates his former gang may have Grand’Mere. Meanwhile, back in New Beijing, Cinder’s storyline is focused on her escape from prison with the aid of a dashing fellow prisoner, Captain Thorn. The level of adventure is much higher in this book. While the first book was set in a scenario with a threat of danger, in this second book the danger has arrived. I found my heart racing and I could not stop reading (er, listening). Would they capture Cinder? Can Scarlet really trust Wolf? Is the Lunar Queen going to attack Earth? Well, my dear reader, those are things your will need to discover for yourself. The world building in this series is so vivid. I like the soft feel of the science fiction fabric woven by Meyer. She gives us just enough description to accept the technology without having it intrude upon the story itself. This gives her much more room to focus not just on the intrigue (of which there is plenty), but also on the development a great characters. Scarlet is both soft and strong, determined, yet compassionate. She is the perfect foil for our flawed hero, Wolf. Dear Wolf, so fierce and hard, yet he unable to deny his warm heart. My favorite new character, however, has to be Captain Thorn. His arrogant, yet charming demeanor brings a smile to my face. It is also refreshing to see that Cinder and Kai do not just become caricatures, as is often the case when the leads from the first book appear in the sophomore book of a series. A growing cast of characters and plot lines can often result in an unwieldy storyline. Not in this case. Meyer masterfully weaves these threads together in a book that is exciting and satisfying. My only disappointment is that I have to wait several months until the release of the next book. *Foot note: I want to also give a shout out to the narrator for this series, Rebecca Soler. She does a great job of creating distinct voices for her characters and capturing their emotions as appropriate. I also give major props to the cover artist. the covers for this series are simply awesome. The pop of red on each cover draws the eye, while the fairy tale font and the primary image hint at the fairy tale being adapted in each book. Review: While I enjoyed this book overall, it also frustrated me a little at times. Fliss Bagshawe is a holistic beauty therapist scraping together a living in London. One of her customers, Isla Urquhart, approaches her about running a therapy centre up in the Highlands of Scotland for her mother, which would be a step up to better things for Fliss. However, the plans might be in danger from Isla’s half-brother Ruairi, the laird of their ancestral estate, who is a difficult man by all accounts, and who may not be willing to support the often fleeting fancies of Isla’s mother. Let’s start with the good bits. I loved the Highland setting, which makes a nice change from the city-living protagonists you usually tend to get. The descriptions of the Highland landscape are wonderfully evocative, and they made me want to go back there, since it’s far too long since I visited that gorgeous part of the world. 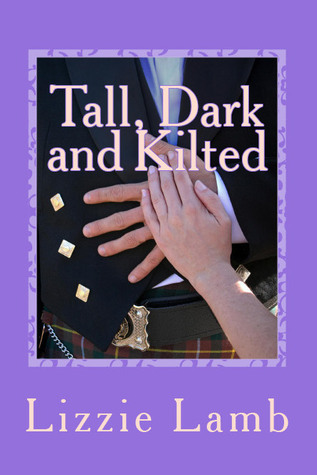 I also liked the inclusion of Gaelic and various Scottish traditions, and it is clear that the author did her homework on this. I’m not entirely sure that Gaelic is still really spoken even in the Highlands (I thought the last remnants lived on in the Outer Hebrides, but maybe there’s been a recent resurgence), but it certainly adds flavour to both the novel and our hero. 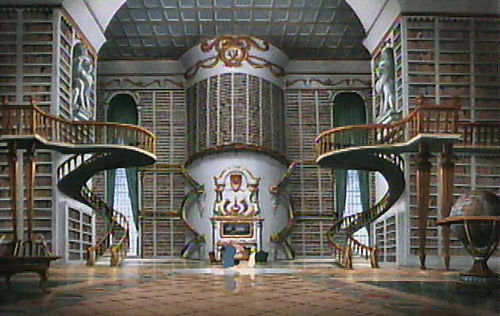 Within that setting, the book is very contemporary. The pop-culture references fly by hard and fast, and while I haven’t necessarily seen or read everything mentioned, I have at least heard of it, which is all good. I like the names. Ruairi is a good, Scottish name, and Fliss is unusual without being ridiculous. I find names very important, and it’s nice to see a good middle road between ordinary and overly extraordinary. That said, there were bits that niggled, such as the reference throughout to Ruairi’s sisters as his stepsisters. I double-checked, and they were born to his father’s second wife, which makes them his half-sisters, not his stepsisters. It may be a little thing, but it niggled at me. Also, the eldest of these sisters, Isla, is a nasty piece of work. That’s fine, antagonistic characters are needed, but Fliss seems to constantly make excuses for her, or be nice to her, when Isla gives her no reason whatsoever to do so. Fliss covers for her on one occasion because that’s what you do for a mate, but I didn’t understand why she would consider Isla a mate. A ticket to something better, yes, but Isla would have worn my patience thin long before Fliss even starts thinking about it, and every nice thing Fliss does for Isla is repaid with more bitchery and backstabbing. Maybe that just makes Fliss a nicer person than me, but even her thoughts didn’t really judge Isla the way she deserved. There were a few other bits, but they didn’t detract from the story. This was a light, fluffy read which neither blew me away nor annoyed me into putting it down.